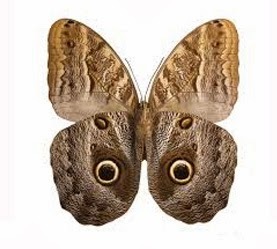 Imagine hearing of the recent practice of releasing captured butterflies at a person's funeral and then actually witnessing the sudden appearance of a large lone wild butterfly circle a deceased loved one's casket under a pavilion and then flutter off to a where a statue of Jesus stands. That's what happened to our family when my dad was laid to rest with a military honor guard, two years ago this past June. My dad had been a crew member on a B-24 bomber during WWII and it was a practice of the air men to do a "fly over" for a fallen comrade. It's as if the butterfly was doing this one last time and my dad's spirit saying goodbye to us. 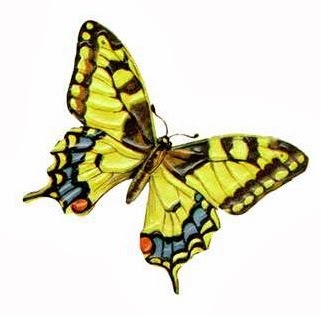 In early Christianity, the butterfly was a symbol of the soul. In China, it was used as a symbol of conjugal bliss and joy. 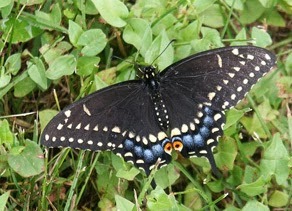 The butterfly was particularly revered by the tribes of the American southwest. Its dance is performed by both Navajo and Hopis. In the Hopi tradition, unmarried girls of the butterfly clan wore their hair in the shape of butterfly wings to advertise their availability. To Native Americans, the butterfly is a symbol of change, joy and color. What about moths and their symbolic connection with departed spirits? Unlike her cousin, the butterfly (with whom the moth shares many symbolic attributes), the moth’s cocoon is like an internalized womb with a hard casing, allowing more protection against the elements. 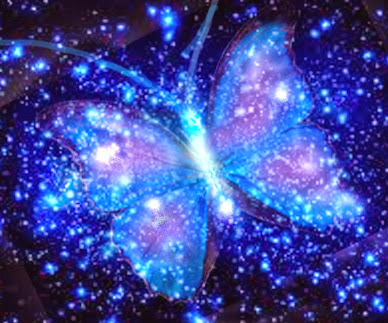 (the butterfly has an externalized womb, more exposed and subjective to the environment). Moths are nocturnal, and much of their symbolism deals with: intuition, psychic perception, and heightened awareness. As if being a night-dweller weren't enough, moths are babes of the moon. They follow the Mother Moon as a source of light, and this connects them with some powerful moon associations such as: Knowledge of the other world, second sight, prophesy, and clarity. I bring up this up because when my mom passed away last week I found a large brown and tan moth fluttering in her laundry. My mother and I were very close so since my mother loved butterflies and the moth is a cousin of the butterfly, perhaps it is her way of letting me know she made it peacefully to the other side. Maybe I'm reading to much into this but I believe there may be some symbolism behind it all and that our connections to these ethereal animals provide solace, comfort and support. Either way, butterflies and moths could be guardian angels or spirit guides sending you a signal or important spiritual messengers. It is often up to each one of us who have had this experience to decide the true meaning and seek their own answers.